One of the most regressive pieces of policy in Indian commercial aviation is the ‘5/20 rule‘ which requires Indian carriers to fly for a minimum of five years and have a fleet of 20 aircraft before they can operate overseas routes. At a time when the Indian economy was growing, and air traffic rising exponentially, this rule held back Indian carriers from operating international routes while foreign carriers faced no such impediments when operating to India. 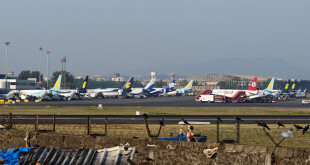 Air India with its limited resources could not utilise the liberalised seat allocations agreed to under the revised bi-lateral air services agreements and consequently the middle-east carriers like Emirates, Etihad and Qatar Airways grew to capture almost 50% of India’s international passenger traffic. 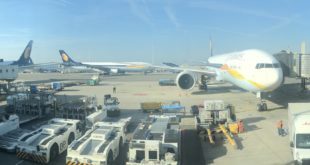 As the latest financial results for Jet Airways, India’s largest private airline show, (read our analysis) international operations are more profitable than domestic. Domestic RASK is Rs.4.89 and CASK is Rs.5.67 a loss of 15.6% or Rs.0.78 per ASK up from Rs.0.72 per ASK from the same quarter a year earlier. International RASK is Rs.3.24 and CASK is Rs.3.30 a loss of 1.9% or Rs.0.06 per ASK. 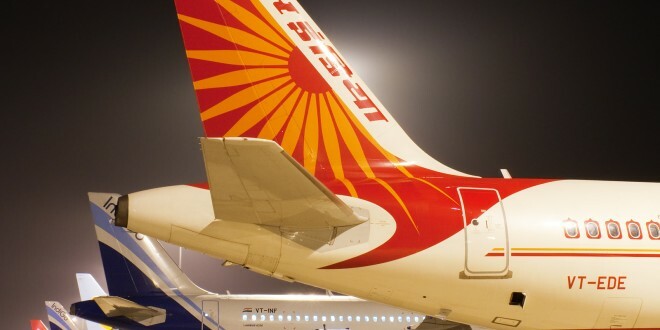 Many analysts agree that Kingfisher Airline’s ill-fated acquisition of the heavy loss making Air Deccan, which ultimately led to its own financial implosion, was a result of efforts to circumvent the 5/20 rule. There is little doubt that the financial performance of most Indian carriers would have been a lot stronger had the 5/20 rule been scrapped. With the advent of new entrants AirAsia India and Vistara (Tata-SIA) there was a clamour for removal of this repressive rule. As the government mulls the proposition of abolishment of the rule, the airlines are a divided lot along predictable lines. Jet Airways, IndiGo and SpiceJet who have completed the five year, 20 aircraft qualification want to maintain the status-quo, while the new entrants AirAsia India and Vistara want it completely abolished immediately. GoAir which has completed five years but has 19 aircraft in its fleet is also in favour of abolishing the rule but is not pushing too hard as it expects its 20th aircraft soon. Air India like other government owned companies is toeing the government line and refuses to take a stand. There are merits to the arguments on both sides. How should the government be fair to the incumbents and yet eliminate this rule? A phased elimination of the 5-20 rule would be a balanced approach. The ministry of civil aviation should immediately approve a policy that every year progressively reduces the years of experience needed by one, and the aircraft in the fleet needed by five as detailed in the table below. This progressive phase-out will allow the incumbents time to prepare and will incentivise the new entrants to scale up their fleet in the next two years, should they chose to make international flights a corner-stone of their business plan. 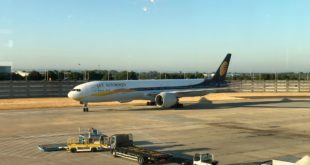 A phased removal will also prevent any foreign carrier acquiring or setting up an Indian airline just to funnel traffic to its own hub, at least for the next four years. This is an adequate lead time for Indian carriers to mature and become lean mean fighting machines, at least those who are serious. Share your thoughts about these thoughts via a comment.